A girl wakes up in the back of a van. She doesn't know who she is or how she got there. After getting herself out of the situation however, people start filling in the blanks...sort of. Will, Abby's guardian, informs her that she is currently in Brooke's body. 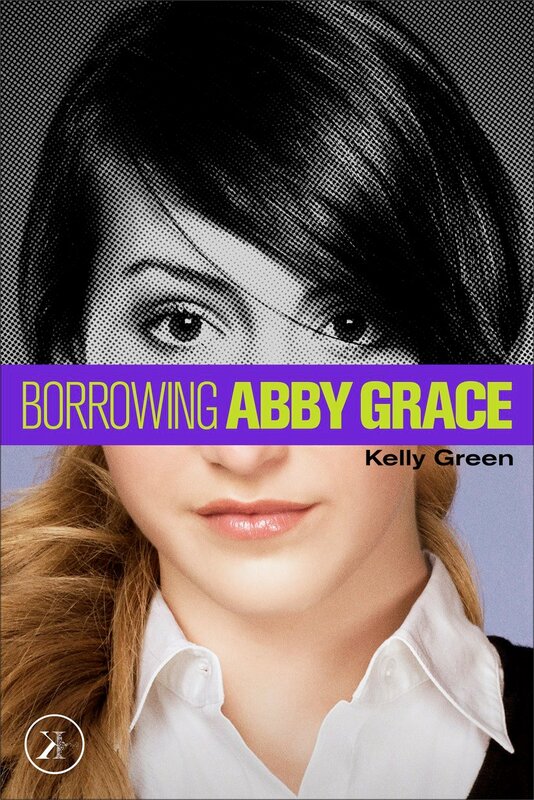 Brooke is borrowing Abby, who is a Shadow, because she needs help with something. No one can tell Abby what she must fix in Brooke's life, only that if she doesn't fix it the consequences are major. So Abby has to figure out what she's supposed to be fixing and how to fix it while keeping up appearances since there is no way she can explain her situation. Abby's situation reminds me of Riley Bloom's from Radiance. She is thrown into a weird situation where she has to help people, but doesn't really know where to start. It is sort of paranormal and no one really wants to say what's going on. There is also a fun Nancy Drew aspect to this story, girl detective and all. I really want to know more about Will too. He seems intriguing even if he is kind of a pain. The story was a bit too short to really twist you up in the mystery. There just weren't enough pages to have lots of false leads and other mishaps. It was intriguing though, especially since it starts off with a kidnapping. The ending sort of came upon me suddenly. I thought that it would be at least a little longer once I found out that the job wasn't over. The length though lends itself to being a great reluctant reader pick. There is enough action to keep the reader hooked and they won't be intimidated by a 400 page tome.This story is perfect for the younger YA crowd too. You should definitely check this one out when you get a chance, it was a fun read. Kelly Green is an author to look out for, maybe she will be picked up on some mystery anthologies somewhere down the line. I eagerly await the next adventure that Abby is sent on and hope the next tale will boast a few more pages. "The first thing I realized when I woke up in the back of the van was that I had no idea at all how I’d arrived in the back of a van. "I thought maybe I should invest in a black unitard, or a trench coat and hat, to go with my new line of work." Going off the cover alone, I wouldn't imagine this to have any sort of paranormal aspect to it. It does sounds intriguing though. I'm not sure if I'll be picking it up soon, but if I do, I have a feeling I'll have no trouble getting into it. This is a smart, fast-paced read that is entertaining from start to finish. It is the first of a series. I am already looking forward to reading the next installment. Highly recommended.